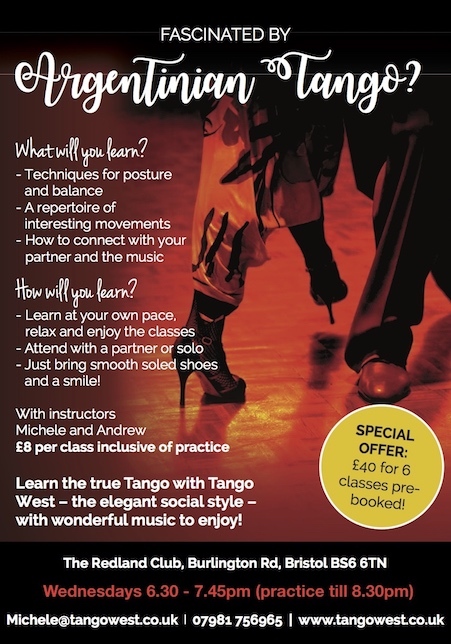 In these classes we focus on the fundamentals of Tango as well as adding in new concepts for those students who have already taken some classes with us. It's fine to drop in though better to commit to a series of classes if you can. That's so you can learn the basics, make regular progress and develop your skills. Michele and Andrew provide expert instruction based on many years experience of the music and the dance! There's no need to bring a partner- it's fine to come solo; please wear smooth soled shoes suitable for dancing. become healthier and fitter with the pleasure of dancing!